Tigo Ghana has upgraded its data network and customer experience is at its peak. In this post, I will share all the best and cheapest Tigo Ghana Internet Bundles for Android Smartphones, PC, and Laptops for those using Tigo Ghana. As you may know, choosing a data volume that is virtually equal to your type of online vigorous action is one of the major things to consider while subscribing to internet bundles. If you are confused about which data plan to sub for your phone or PC, no more worries! Here I have the list of all Tigo Ghana internet bundles, subscription codes and prices recently updated. 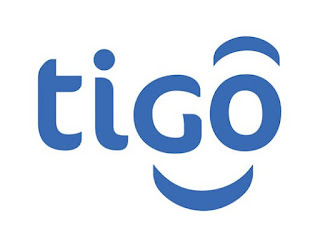 With this list, you would be able to quickly identify the best and cheap Tigo Ghana data packages to use instead of using “Pay As You Go” which zaps all the money on your account while your aim is not yet achieved and you may end up frustrated. For you not to pass through all these hassles to get to Ghana shortcodes of all cheapest internet bundles, I have researched and listed all the Tigo Ghana Internet Bundles available right here for you. The internet bundle provided below can be used for PC, Laptops, Tablets, Android and any other internet-enabled devices. Tigo Data Bundle gives you the option to choose either auto-renewal or one time packages. Below are some of the best Tigo Internet Bundles and shortcodes, alternatively, you can subscribe to them by using *500#. Note that you can activate any of the below-listed bundle plans by dialing *500# and subscribe to Tigo Ghana affordable data packages without the need for a specific Tigo Internet Bundles and shortcodes. 1. Tigo Ghana Night Owl Daily - 3GB for 2.99GH¢. With this plan, Tigo gives you 3GB of data for just ¢2.99 and it’s valid for 5 hours (12 Am - 5 Am). 2. Tigo Night Owl Weekly - 25GB for 19.99GH¢. With this plan, Tigo gives you 25GB of data usable during the weekend and it's valid for 7 days. With this internet bundle offer, Tigo gives you double amount of data purchased for just a lesser amount of Gh¢ and their validity may vary. Tigo Ghana daily offers comes with 4 different data bundles, these includes 20MB for 0.5Gh¢, 50MB for 1gh¢, 200MB for 3gh¢, 450MB for 5gh¢ valid for 1 day, and 150MB for 3gh¢ valid for 3 days. Activation code: Dial *500# on your Tigo SIM card and follow the instructions to subscribe. This is one of the best Tigo Ghana internet bundles for all devices. Just like the daily plans, these Tigo weekly packs come in different grades enough data volume to satisfies your needs. This offer lets you use 25MB for 1 Gh¢, 120MB for 3Gh¢, 400MB for 5Gh¢ all last for 7 days, 750MB for 10Gh¢ for 15 days, 1.2GB for 15Gh¢ for 30 days. Tigo family packs are one of the good data plans from Tigo internet bundles that lets you can share your purchased internet plan with your family and loved ones. Check out the Tigo Ghana Family internet bundles below. 30GB for 200Gh¢ valid for 45 days. 60GB for 250Gh¢ valid for 60 days. 100GB for 300Gh¢, valid for 90 days. 200GB for 350Gh¢ valid for 90 days. That's all you need to know about how to activate Tigo Ghana internet bundle in 2018. If you are still confused, note that *500# is the magic key or visit internet.tigo.com.gh for more details about Tigo internet bundle offers. If you are looking for how to check Tigo internet bundles balance, here is the easiest method to do that pretty quickly. #4. Enter your Pin 5. You will receive a message showing your current and Available Balance. Since most Internet users in Ghana buy internet bundles from telcos like mtn vodafone, Airtel, Glo and tigo, the above information gives you an overview of the best and cheap Tigo internet bundles you should go for. In my next article, I will share you all you need to know about Vodafone secret codes, and Airtel internet bundles codes. For mtn Ghana internet bundles go here. Do you enjoy reading my post on best Tigo Ghana internet bundles, subscription codes and prices? Share your experience using the comment section below.